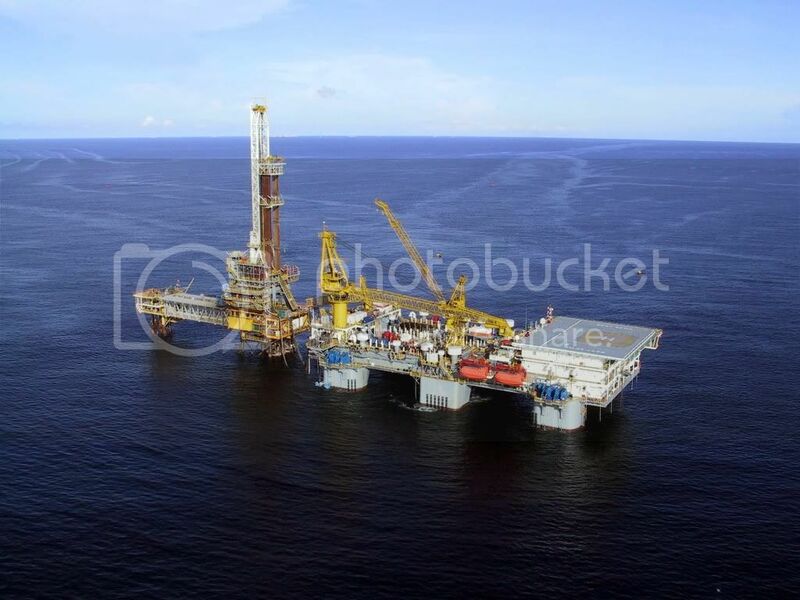 To kick off this new thread I will post a few pics from the Kikeh Field, offshore Sabah, East Malaysia, taken a couple of weeks ago. This contains nearly everything that is covered by the thread. The Spar is afloat and permanently anchored. 750 Kips (340 m.t) max. pull. At a daily cost of approx. USD 1 Mill. it is no wonder the Operator is in a hurry to get things done. My job was to do an audit on the performance and advise on ways to improve performance. I just browsed through the "old" Supply Boat thread and realised that there are at least 15-20 posts that rightfully should belong under this thread, mostly posted by me. But I also realized that it isn't as simple as all that. If I where to move my posts, the comments and answer to these same posts would be "hanging in the air". If all those posts were just copied here, all it would do is fill the forum with unnecessary duplicates, which serve no purpose either. I therefore suggest that past sins are left well enough alone, and any future postings on the subject of "Rigs, Platforms and Oil Fields" etc. are posted here. Since I have been the main sinner, I would probably also be the first one who has to follow my own advise as well. 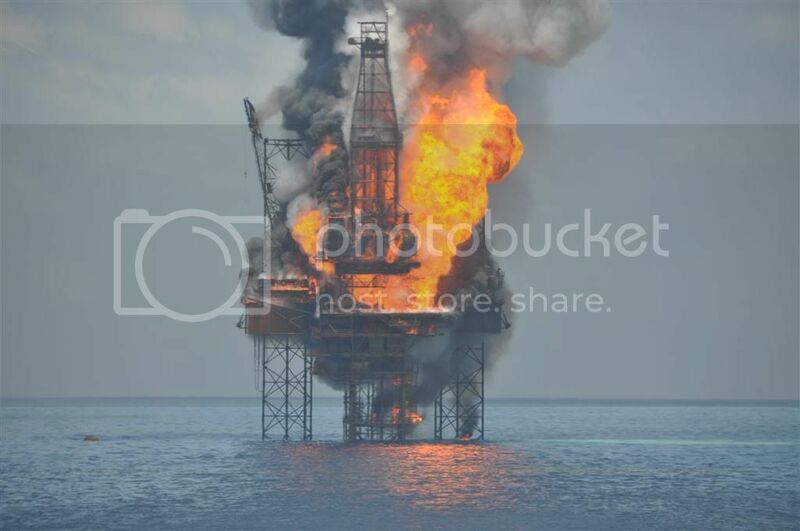 Most have probably seen the reports on the Blow-out that occurred in the Montara Field, offshore Kimberly Coast in Western Australia on 21. Aug. The Operator for the field is Thailand's PTTEP, Australasia arm. 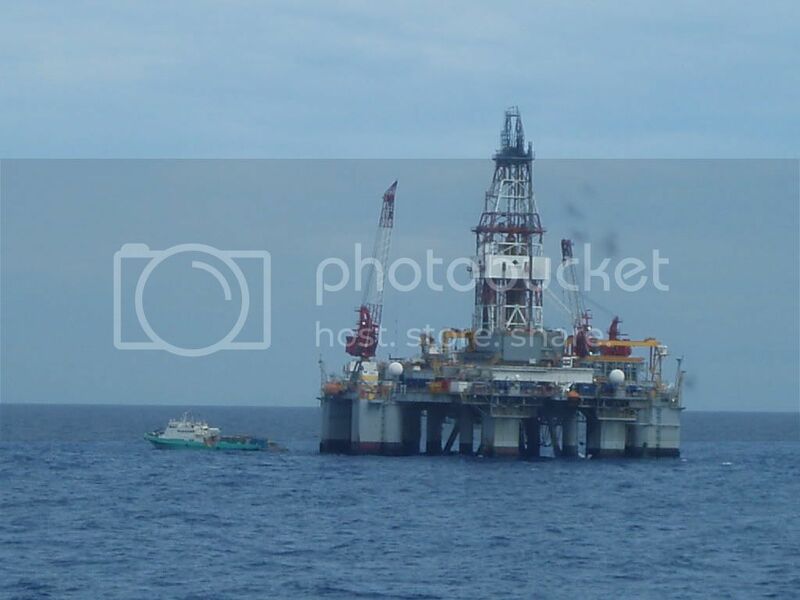 The J/U Drilling Rig "West Atlas", belonging to Seadrill ASA, Norway was drilling the first production well through a newly completed well head platform, installed and completed by the DLB "Java Constructor", owned and operated by Clough Engineering, Perth WA. only a few days earlier. The relief rig "West Triton" was transported down from Singapore to drill a relief well in order to kill the blowing well with heavy mud. 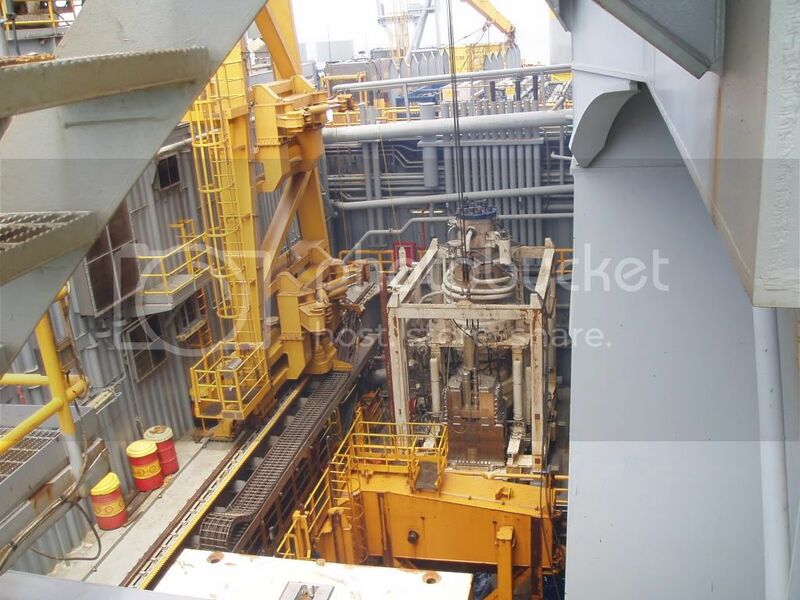 Seen in process of pre-loading prior to elevating to drilling air gap. The distance between the two is approx. 2 km. They will drill a diverted hole and try to intersect with the blowing well. Not an easy task when you know that their target is a 9 5/8" diam. Casing. Note that the Derrick is still standing. 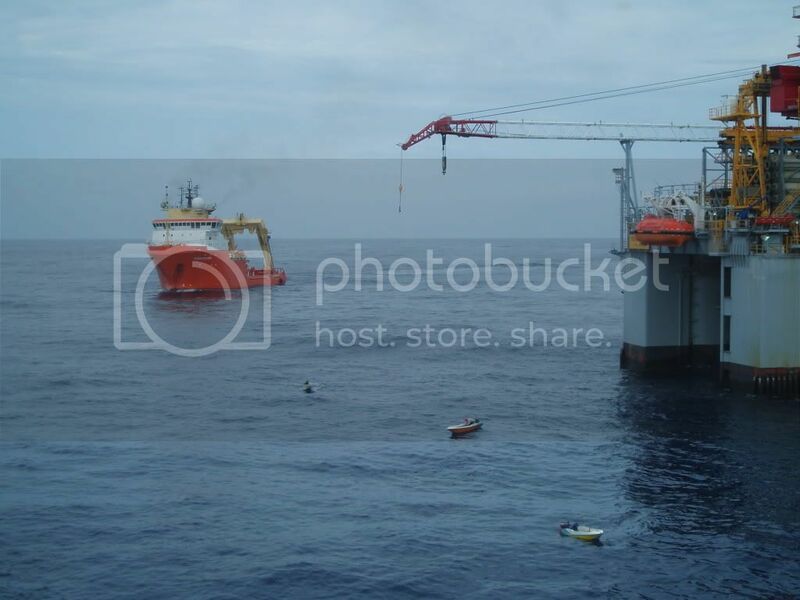 The derrick has fallen inboard and taken one of the crane booms with it. The Dog house is totally gone and the Cantilever appears to have been bent. The well has now been killed and they are planning to plug and abandon it a.s.a.p. HOW is not yet clear. It is going to be quite a job to get this rig back down in the water and away from the platform. The cantilever have to be retracted or removed and the jacking system on the aft legs is bound to be badly damaged or destroyed. So is West Triton going to have to drill and actually hit the blown out well hole or do they just have to get close and start pumping mud? How deep is the water where the rigs are working? Since West Trition is 2km away from the leaking West Atlas well I assume that it will take several km depth to get the new well over to the leaking one. I also assume that the well must start vertical for a distance before they can turn for the leaking well. That much drilling will take a while. The water depth is around 90 m. (300 ft.) only, judging from the length of legs remaining above the jack houses. As you will see from the above post the West Triton arrived already 11. Sept. to drill the relief well, which must have been completed some time ago since they were attempting to kill the well when the fire broke out. 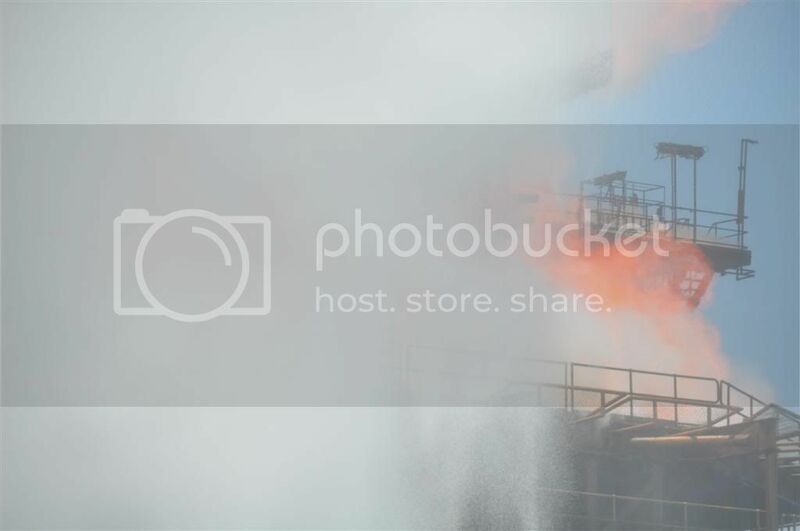 I don't know the details of this incident and how deep they had got when it happened, but on the pictures taken as it started (http://www.news.com.au/perthnow/stor...rom=public_rss) it appears that the well fluid is coming out outside the conductor. This could indicate "shallow gas", or that they have drilled "open hole", using the 9 5/8" casing as their drill string. This is quite common in Gulf of Thailand and may have been adopted here, but that is just speculations. If they had set and cemented the 9 5/8" casing they should have been able to shut in the well with the BOP when they took a "kick". If so, they would be able to kill the well with heavy mud. Such gas "kicks" are not unusual and the whole thing would have been a non-event, except for the people on board and the Operator. As for the depth to which they had to go to "kick off " to drill +/- 2 km. horizontally towards the blowing well? It depends on the formation, but normally not all that deep. If the target was at shallow depth below seabed they may even go down as far as required to build up the angle, drill a horizontal section and then drill upwards at the end. 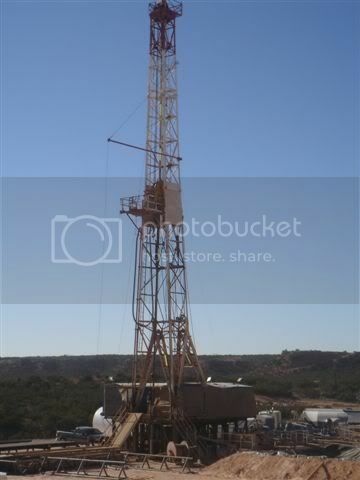 The drill bit is steerable and in exploration drilling it is not unusual to "bend" a well both vertically and horizontally to hit several targets with one bore hole. This became a lot of guesswork. Better wait to see the official report. 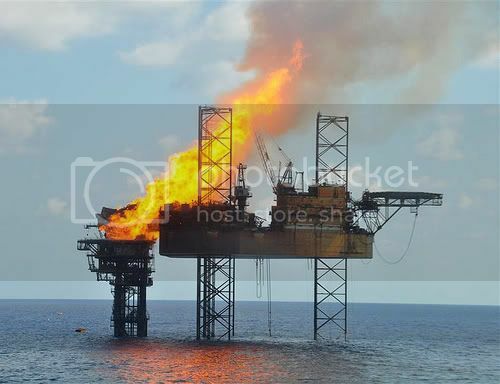 The fire on Seadrill's West Atlas jackup and PTTEPA's Montara wellhead platform in the Timor Sea was extinguished on November 3, 2009, following a successful operation by Seadrill's West Triton jackup to intercept and kill a leaking well. 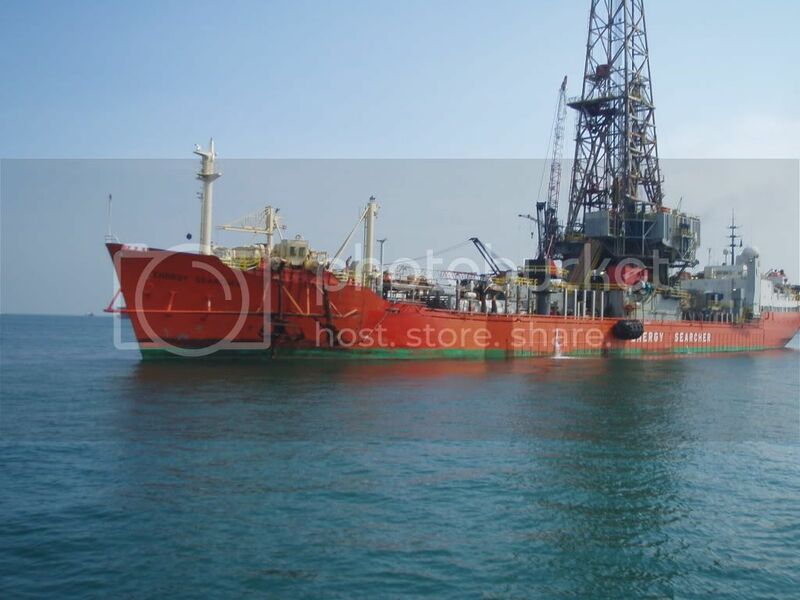 Seadrill is now working to assess and establish the damage to the West Atlas. 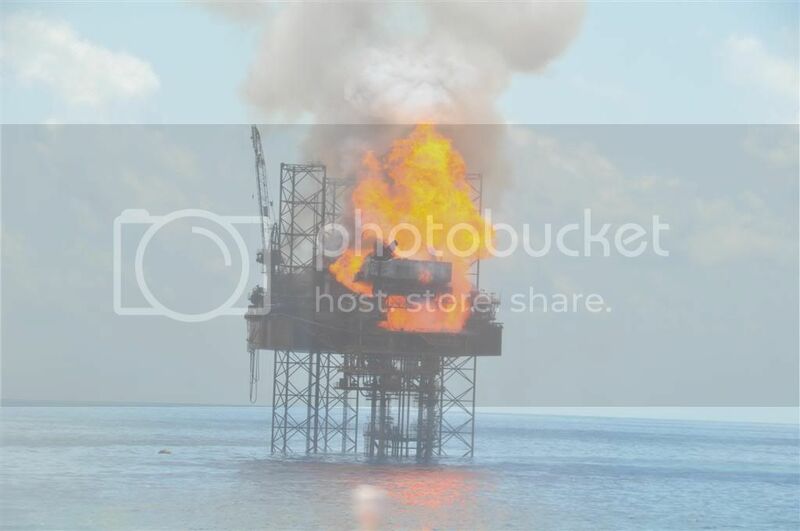 Visual inspection confirms that the rig's steel cantilever structure, which is extended over the Montara well-head platform, has been buckled and deformed by the fire. The next step is to send a specialist team onboard the West Atlas to establish whether it is safe for additional personnel to board in order to continue well capping operations and to do a full assessment of the structural damage to the West Atlas. 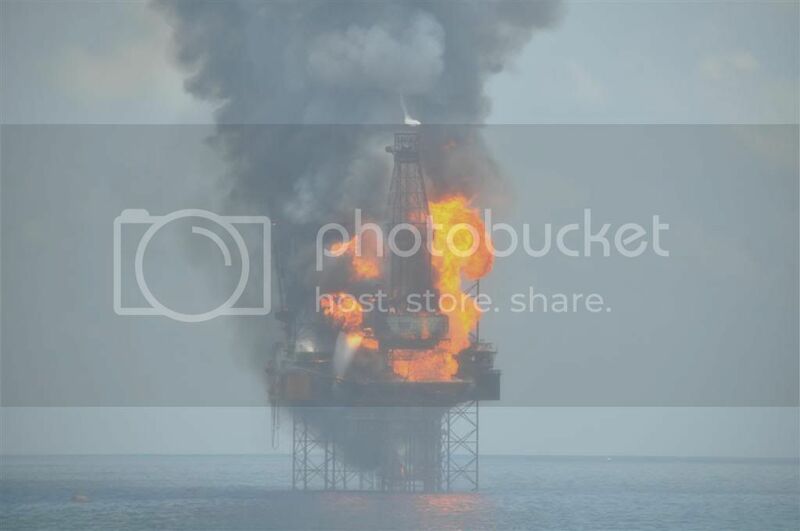 Preliminary indications, based only on the visual inspection of the damage, indicate that it could take a number of months to remove the West Atlas rig from the vicinity of the Montara wellhead platform. The West Triton currently remains on location, approximately two kilometres from the West Atlas, as it is still required by PTTEPA to monitor and complete well plugging operations. WOW! 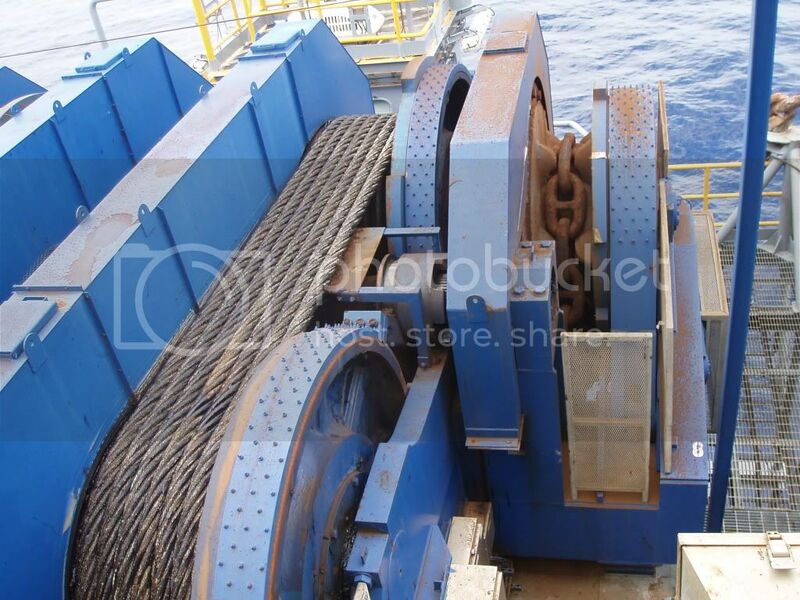 I have been on some tough machinery installations. 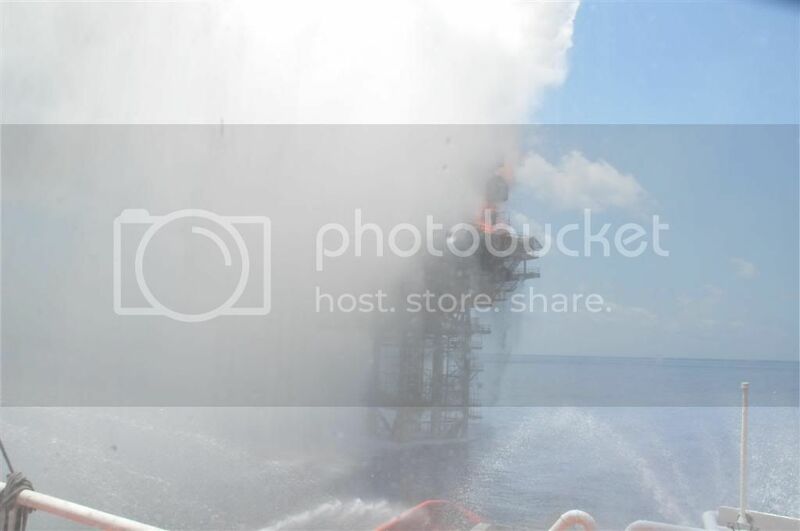 I cannot imagine what it is like to work on a fire damaged platform at sea. I hope they are paid well. Rigs and Platforms, what is the difference? 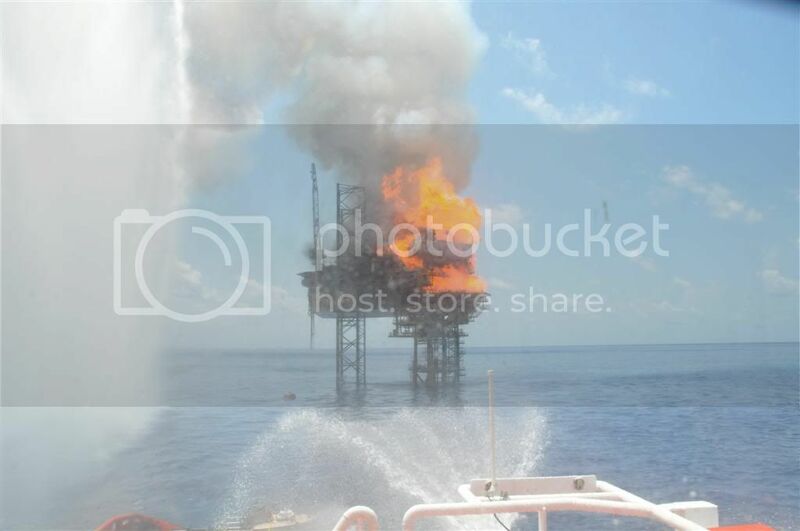 I almost forgot about this thread and posted picture of the Deepwater Horizon fire and sinking under the Offshore Vessels thread. 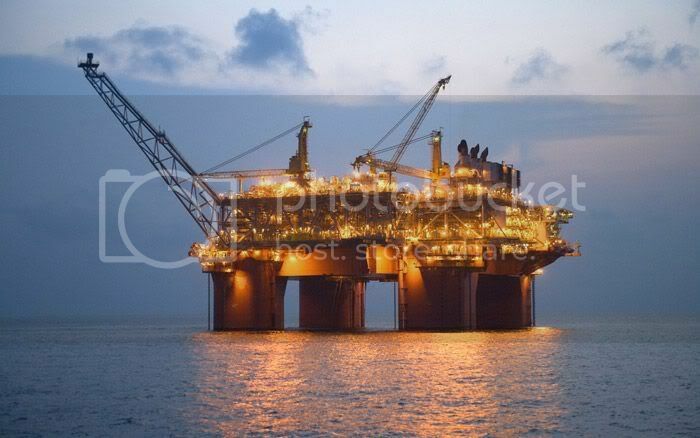 Every time something is reported in the media about the Offshore Oil and Gas Industry there is a great deal of confusion about the terms used. 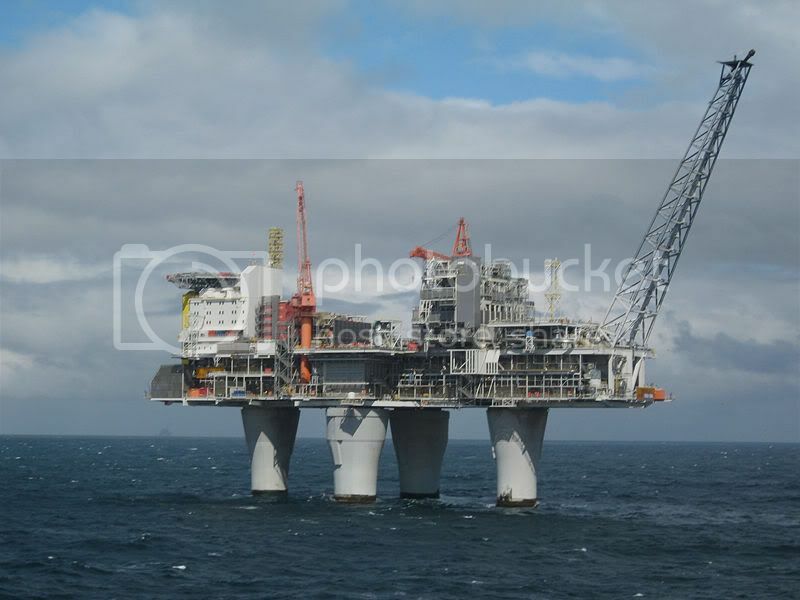 The terms RIG and PLATFORM is use indiscriminately to describe just about anything Offshore related. 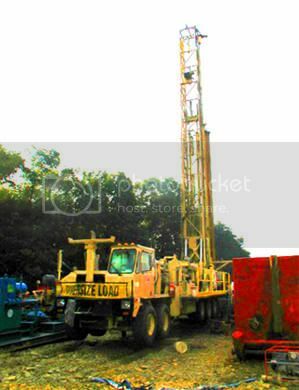 Used to drill small "pot holes" for shallow gas and oil, or for "work-over". 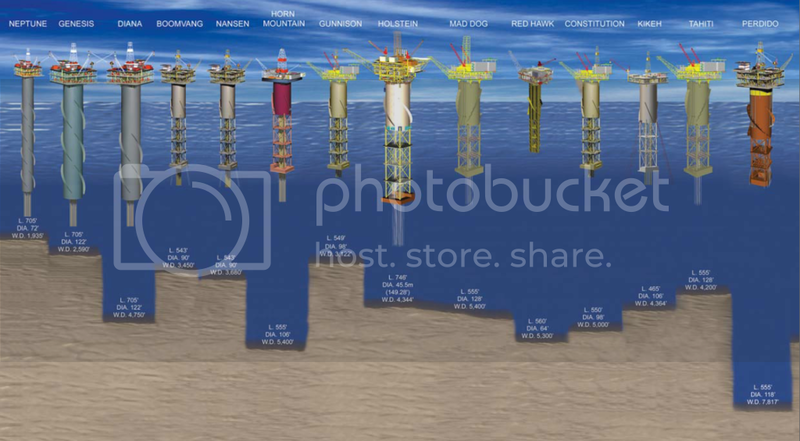 The same basic components goes into any other Drilling Rig, whether onshore or offshore. 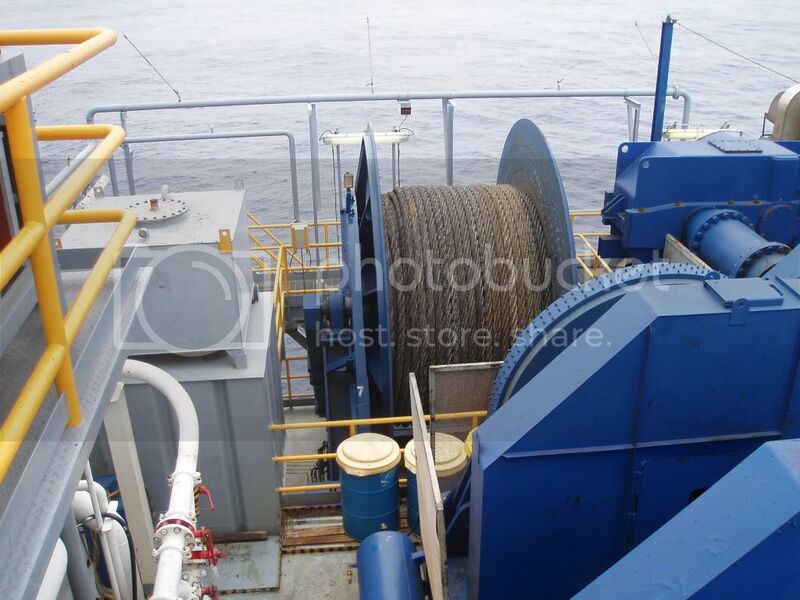 The picture shows one of the newest of this type, Atwood's "Richmond", able to work in up to 75 ft. water depth in reasonably benign areas like the GOM and offshore Nigeria etc. 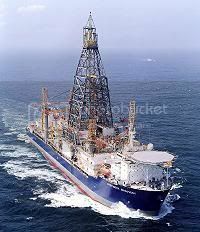 Now we get to the true offshore Drilling Rigs, officially called "Mobile Offshore Drilling Units" (MODU), of which there are many types. 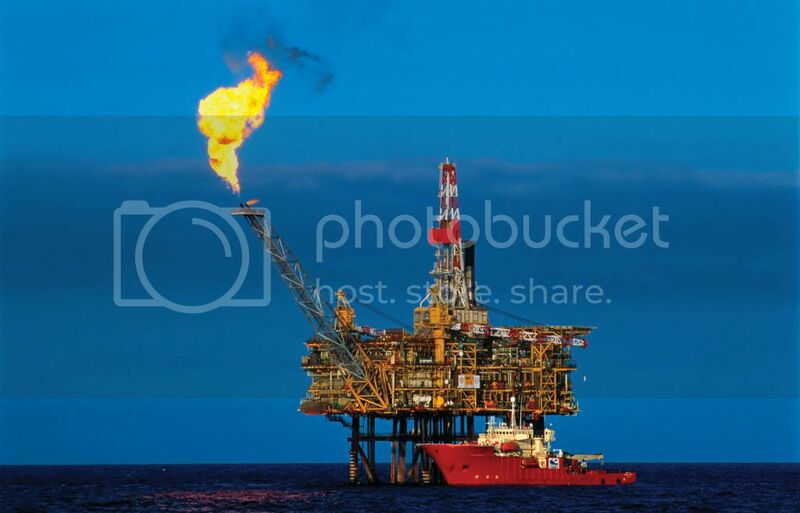 The next type is; "Self-erecting Tender assisted Drilling Rigs". 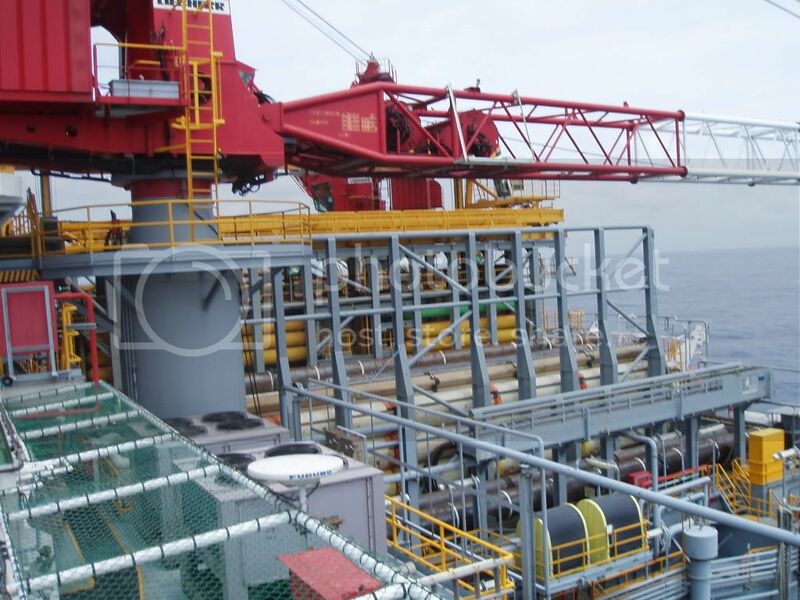 This type consist of the Drill packet, which is lifted up and assembled on a Fixed Platform by a crane on the Tender Barge. 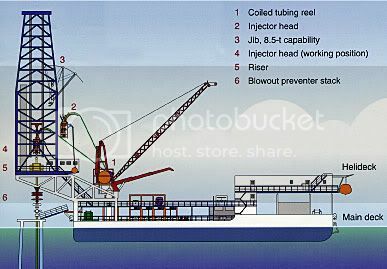 The rest of the Drilling equipment is built int the Tender and does not need to be dismantled/assemble for every move. Most are barges with a 100 m.t. SWL crane and living quarters etc. 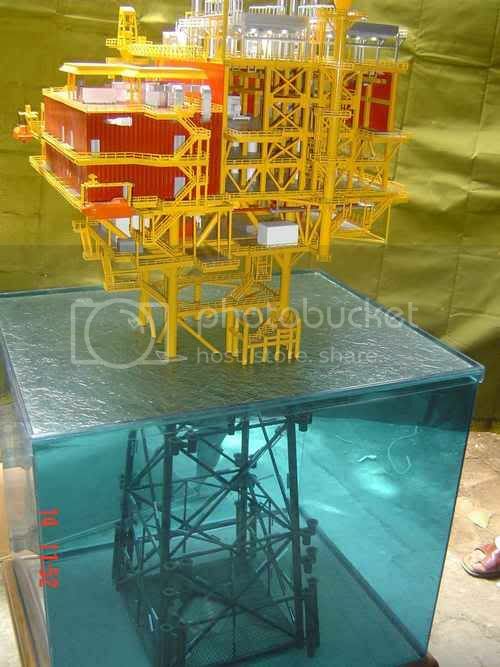 Tenders can work in any water depth in which fixed platform can be installed. 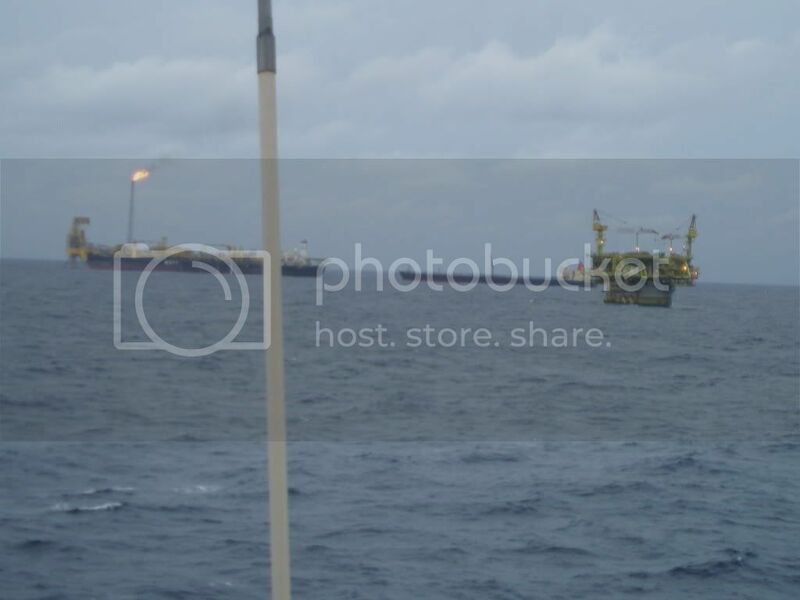 There are still a few "Offshore Drill Barges" in operation. These are simple barges, anchored and with the Drill Packet permanently installed. No propulsion. Used in the shallow Lake Maracaibo, Venezuela, where there are little or no tidal difference. The most numerous type of MODUs is the Jack-ups. 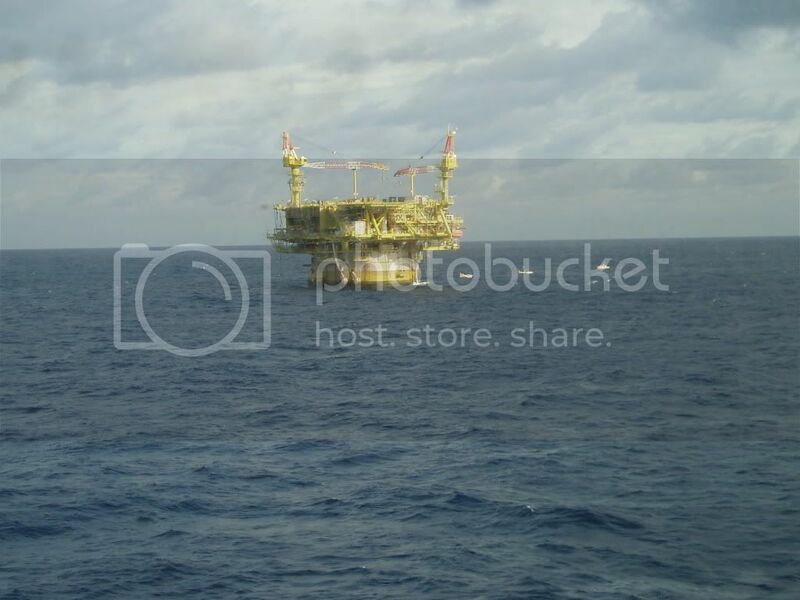 (Officially "Self-elevating Drilling Platform") of which there are nearly 400 units in operation world wide. The early jack-ups were multi-legged. One of the first, Mr. Louie, had 16 legs and is still in existence somewhere off West Africa as a production platform. Only 10 legs on this one. 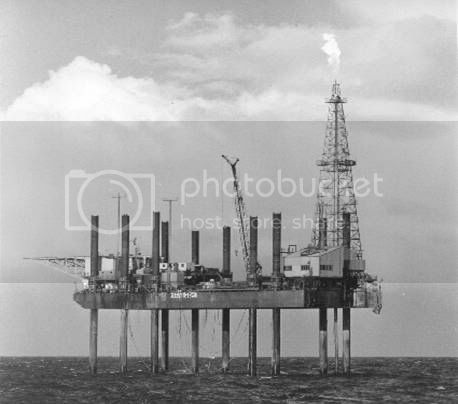 My early days in the Offshore business was with some of these old rigs, working in Indonesia, Malaysia and Brunei. J/U "John C. Marthens" was an 8-legged rig with DeLong air operated jacking system. Originally intended to be a pier in Vietnam. 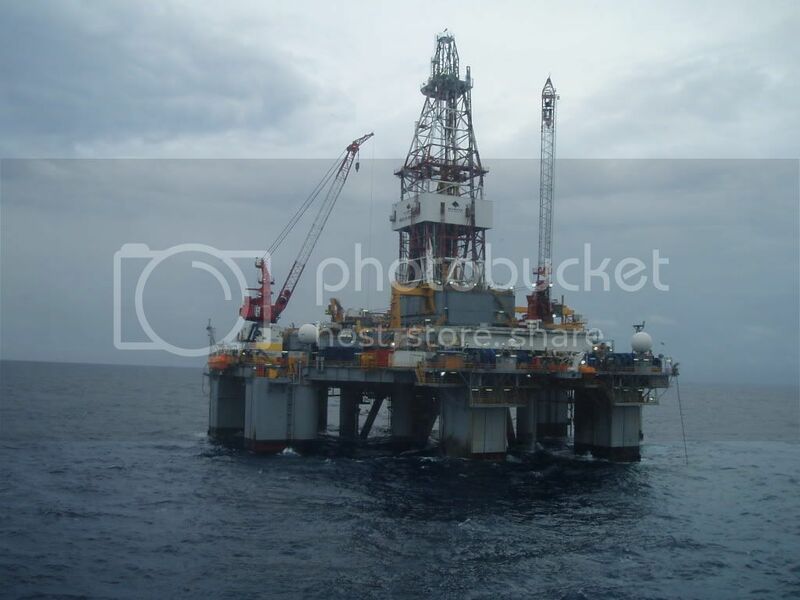 A Land rig was placed on it and, viola, we have and Offshore Rig. 4-legged with DeLong Hydraulic jacking system. The Helideck was originally on top of the Bow leg, which must have been quite interesting when working in shallow water. These three were my "pet" rigs, as there were never a dull moment when moving those rigs. No need to show pictures of the modern Jack-ups, as that is well documented in this and other threads here on CVF. 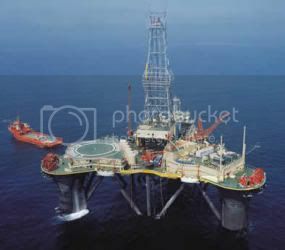 This is actually Scarabeo 3, belonging to Saipem and one of the last of the type to be built. The modern Semi-subs has also been well documented earlier. I was Captain on this one for a short time back in 1997. I'll define the various Fixed and Floating Platform types in a later post. Last edited by ombugge; May 3rd, 2010, 17:37. Funny you should post this. 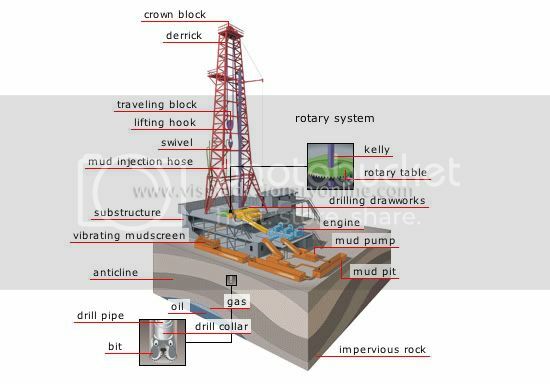 I spent last night on Wikipedia learning about the different types of rigs. 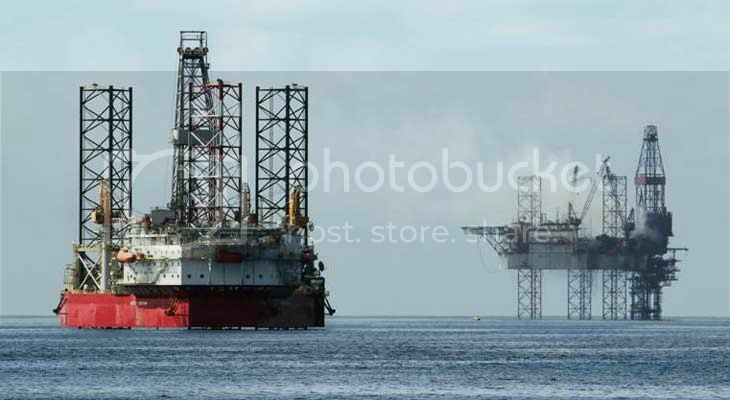 How often have you seen pictures of a Drilling Rig in the press or on TV and it is described as a Platform, or a picture of an Offshore Platform being described as a Rig? I hope the following will interest some here on CVF and maybe even enlighten. Here we go with a bit of clarification on the various contraptions that is commonly called "Platforms" in daily oil field lingo. The function is simple to protect the Risers and support Well the Well Heads. 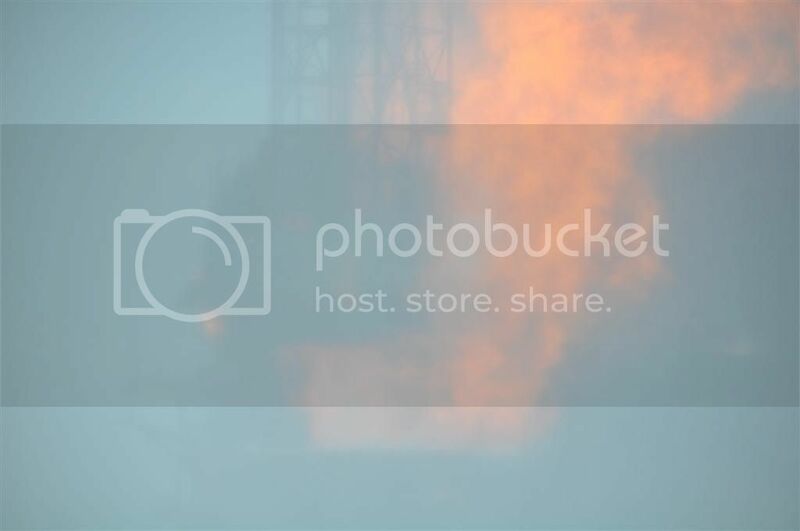 Usually contains no processing equipment etc. 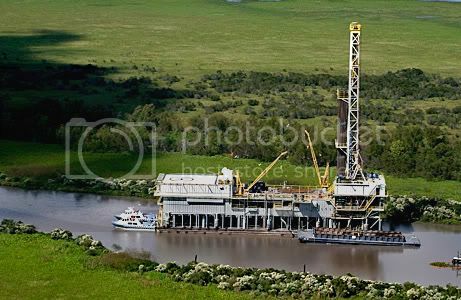 Drilling is done by a Jack-up Rig straddling the Platform. Some has a small Helideck, which has to be removed whenever a Jack-up move in to work over the wells. 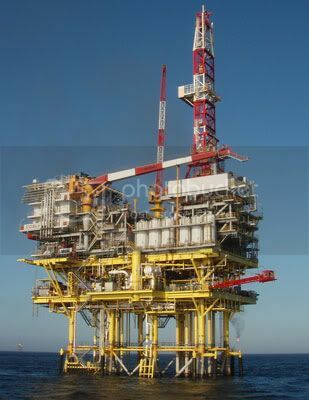 Where drilling, wellheads, production and injection equipment and living quarters are all on the same platform, supported by a single large steel jacket. 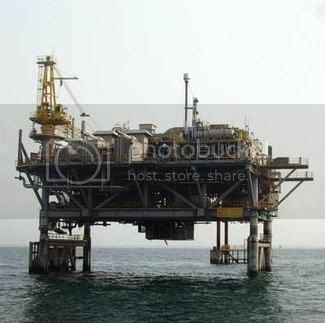 The Well Head Platforms (WHP) can be quite a distance from the Production Platform (PP) and the Living Quarters (LQ). The last two are usually connected with bridges. 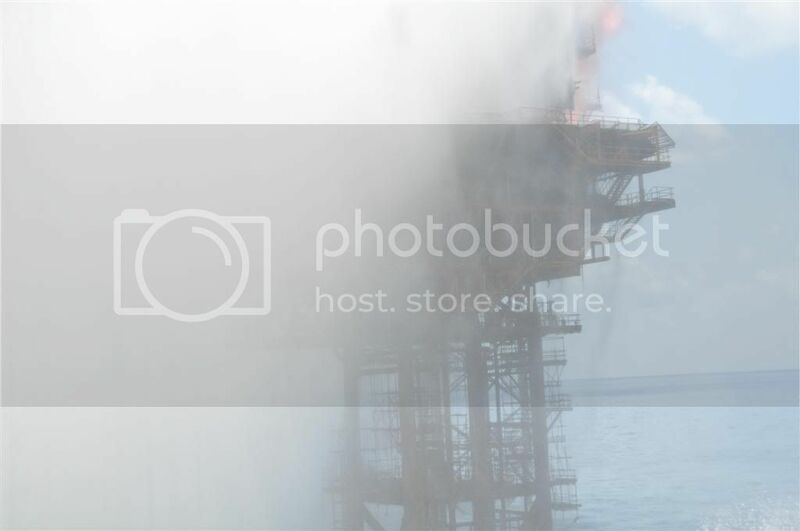 A normal such Platform consists of a Steel Jacket and Topsides, which may contain "anything". 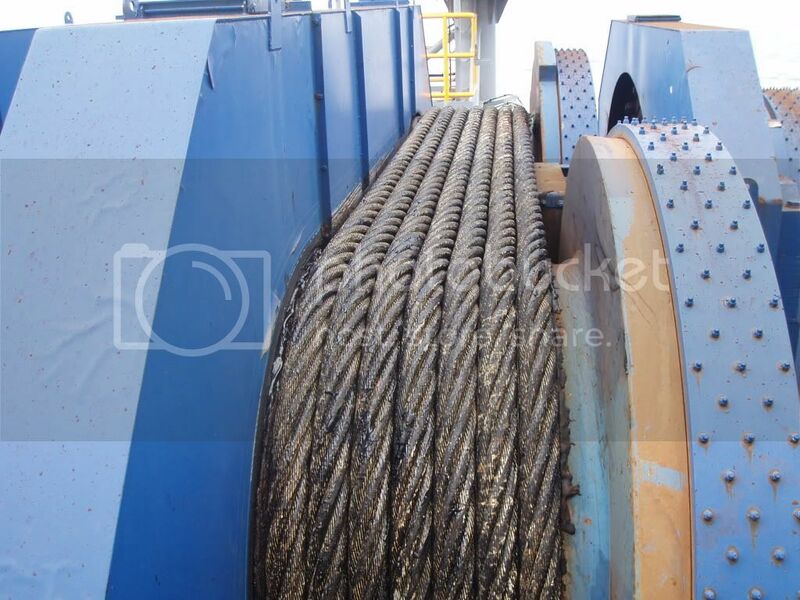 The Steel jackets are usually transported to the site on a barge, launched and up-ended and piled in place using a Crane Barge. 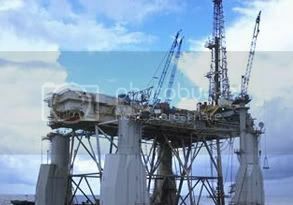 Topsides are then placed using the Crane barge, either in one piece or in the form of Modules. 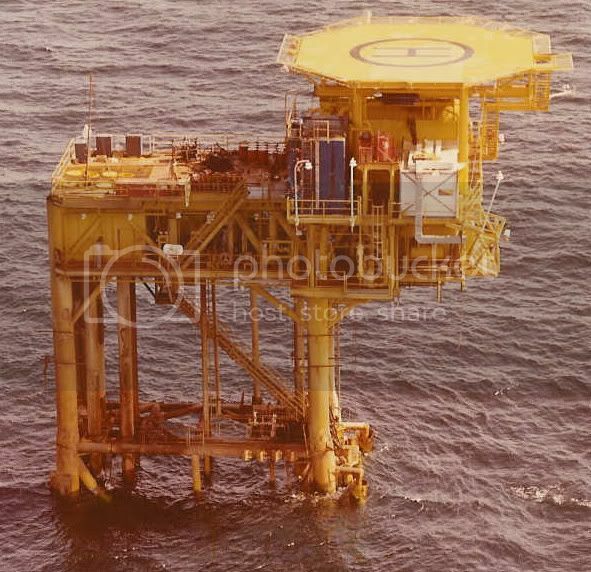 Concrete Platforms are so far not part of the mix in the GOM. Of Discovery Channel fame. The tallest such structure, but not the heaviest. That title belong to Gullfax C, at 1.5 Mill. M.t. 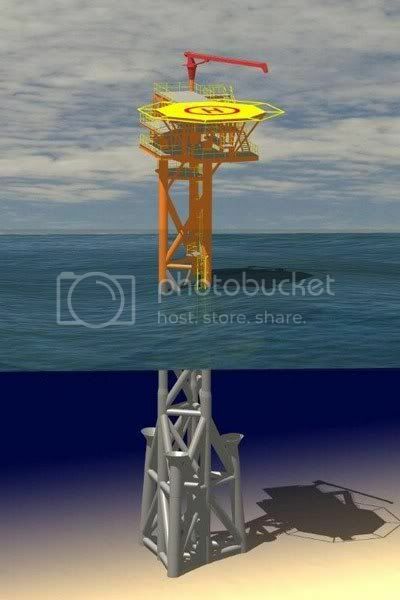 The Compliant Tower with tethered and the so called Sea Star where one-off attempts, while Floating Production Units (FPU) are more widely used elsewhere, notably deep waters off Brazil. 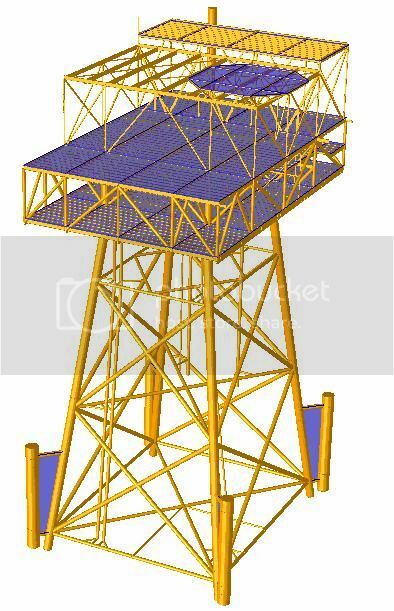 Tension Leg Platforms has been used successfully both in the GOM and the North Sea, but is not being constructed any more with the influx of FPSOs, which is less expensive and more flexible. On the surface it looks just like any FPU. The difference is in the Tethers and the under water hull configuration. 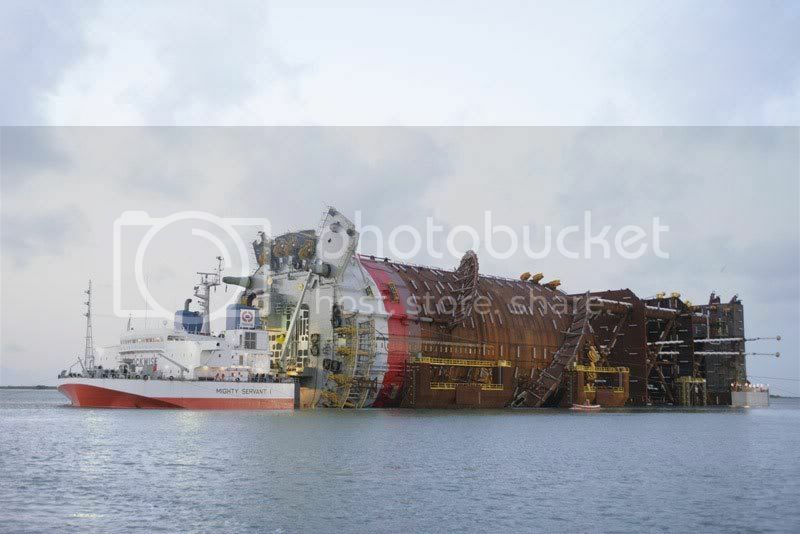 Launched into the water, up-ended and anchored on location, before the Topsides are added by SSCV. All of which is done by foreign flag vessel, since there is no available Jones Act vessels able to perform such work, much to the irritation of American seafarers and Offshore Construction crews. Ombugge, a thank you for this from an ignoramus. I shall have to come back to it a few times to get my head round it but I found it really interesting and it has clarified things a bit for me so that I can now have some idea about what goes on off the north Norfolk coast. What was the final result of the West Atlas well? This is what they are attempting to do in the present GOM crisis, isn't it? Stupid ignoramus questions: in the picture of the Spar being towed out how is it first "launched" into the sea, do they use a slipway as in launching ships or is it done by cranes? And why doesn't it sink while being towed? Flotation chambers of some sort? Told you they were stupid questions.